The 300 series consist ofaustenitic chromium-nickel alloys. Austentic containsa maximum of 0.15% carbon and a minimum of 16% chromium, and nickel is the important alloying element. This creates superior corrosion resistance andease of fabrication. Austentic stainless steel has a wide range of mechanical properties and can withstand a wide range of temperatures.Austenitic grades are the most commonly used stainless steels, and are not hardenable by heat treatment. 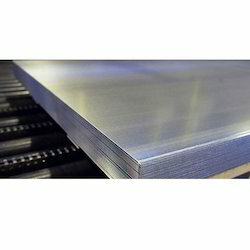 These steels are the second most regularly specified 317L Stainless Steel Plates after Type 317 L and are part of the SAE defined 300 Series which encompasses a range of austenitic chromium-nickel alloys. Austenitic stainless steels like Type 317 L are widely available, have good general corrosion resistance, good cryogenic toughness, and excellent formability and weldability. We offer the available grades to our respected clients in the market. The wide range of Stainless Steel Sheets offered by us is procured from Jindal steels and SAIL. 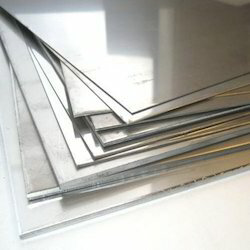 We offer various grade of stainless steel sheets having different thickness and width. Our sheets are available in various finishes like 2B, BA, MATT, PVC MATT and several others. The sheets offered by us are resistant to corrosion and are widely used in machine fabrication in various industries. 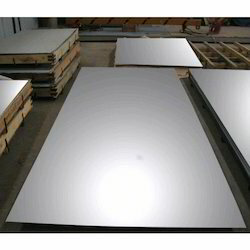 Product name ASTM A213 310H stainless steel sheet. Used area Ship building, Engineering construction, Mechanical manufacturing. The strength of 310H Stainless Steel Sheet is a combination of good strength and corrosion resistance in temperatures up to 2100 F (1149 C). Due to the relatively high chromium and nickel content 310H Stainless Steel Sheet is superior in most environments to 304 or 309 stainless. 310H Stainless Steel Sheet is widely used in moderately carburizing atmospheres such as encountered in petrochemical environments. SUS JIS, AISI, ASTM, TP, GB, DIN, EN. GB/T 4237-2008, GB/T 3280-2008. 201, 202, 301, SUS302 302, 304, 304LN, 304H, 304L, 304Ti, 304J1, 309, 309S, 310H, 310S, 316, 316F, 316J1, 316J2, 316J1L, 316Ti, 316L, 316N, 316LN, 316TI, 317, 317J1, 317L, 317LN, 320H, 321, 330, 660, 410S, 420J1, 904, 904L, 2205, XM21, XM7, SUS330, SUS600, SUS/201/201/216/314/301/302. Length Up to 6000mm or as the customer’ s requirement. No. 3 Polished with abrasive belt of git#100#200#, have better brightness with discontinuous coarse stria used as inner and external omaments for building, electrical appliances and kitchen utensils etc. HL Polished with abrasive belt of trit#150#320 on the NO. 4 finish and has continuous streaks, mainly used as buildings omaments elevators, door of building, frontal plate etc. BA Cold rolled, bright annealed and skin-passed, the product have excellent brightness and food reflexivity like mirror kitchen apparatus, omament etc. 8K The product have excellent brightness and prefer reflexivity can be the mirror. These types of steel are some of the most regularly specified and have come to represent the embodiment of the basic stainless product. 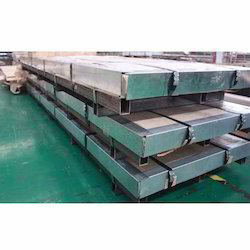 They are part of the 300 Series of 304L Stainless Steel Plates (as defined in SAE specifications) which covers a range of austenitic chromium-nickel alloys. They are also known as 18/8 stainless due to their chemical composition which includes approximately 18% chromium and 8% nickel by weight. The steels are easy to form, weld, and fabricate and their resistance to corrosion from, amongst other things, acids naturally contained in food has resulted in them being used widely in the food and drink processing industries. These 310 S Stainless Steel Plates are the second most regularly specified stainless steels after Type 310S and are part of the SAE defined 300 Series which encompasses a range of austenitic chromium-nickel alloys. Austenitic stainless steels like Type 310S are widely available, have good general corrosion resistance, good cryogenic toughness, and excellent formability and weldability. 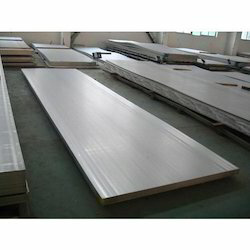 A broad range of steel sheets is offered in various dimensional specifications. 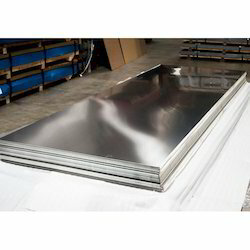 These Stainless Steel 304H Sheets find exclusive usage in various fabrication and engineering projects. Designed with high precision and processed under advanced technologies these steel sheets are carefully tested to ensure high precision and dimensional accuracy. 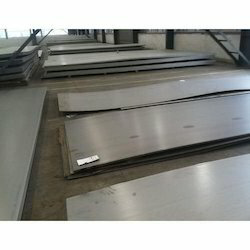 Stainless Steel & Duplex Plates and Sheets. 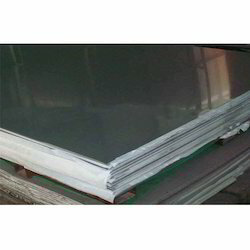 Carbon Steel & Alloy Steel Plates and Sheets. Types: Sheet, Plates, Coils, Flat, Strips, Profile, Blank, Circle, Ring etc. Form: Foils, Shim Sheet, Rolls, Perforated Sheet, Conquered Plate. Mill Test Certificate as per EN 10204 / 3.1B. As per ASTM A 240 Gr. TP 304, 304L, 304H, 304LN, 309, 3098, 309H, 3108, 31OH, 316, 316L, 316H, 316LN, 316TI, 317, 317L, 321, 321H, 347, 347H, 348, 348H,409, 410, 420,430 etc. We Provide a comprehensive range of Stainless Steel 316 Coil which is manufactured using quality raw material. This range is widely demanded across the industry for its high efficiency, perfect finishing, corrosion resistance, and efficient functioning. Owing to the wide applications of these Coil, these SS 316 Coil are utilized in varied industrial areas, including petrochemicals, fertilizers, refineries, pharmaceuticals, heavy engineering and shipbuilding. Dimensionally accurate this range is availed in the market easily. Quality tested our range is acclaimed by the clients as it provides high performance and ensures smooth functions. We Piyush Steel provide this SS 316 Coil in different sizes and length as per the requirements and demands of our clients. A leading exporters of the high grade Stainless Steel 316 Plate that are made using the premium quality Steel. Our SS 316 Sheets are highly used in various industries, owing to their strength and durability. They are available in varied sizes as per the needs of the clients.Our 316 SS plate is available in various designs. 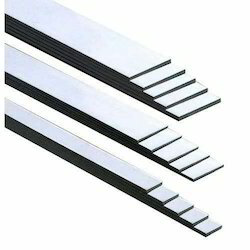 It is available on minimum wall thinning rate. This product is made of Stainless Steel and available of different types. 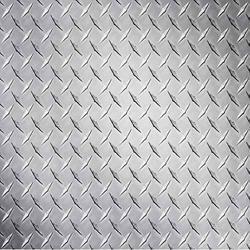 We are reckoned amongst the prominent name engaged in offering premium quality array of Stainless Steel 316L Plate that finds ample usage in various fabrication and engineering projects. 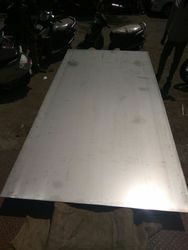 The provided steel plate is well manufactured with leading techniques & finest material at our manufacturing unit in adherence with the set standards. Furthermore, we assure premium quality of our steel plate by testing it thoroughly. 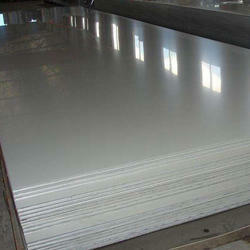 We are giving this steel plate to customers on several specifications in a promised time. 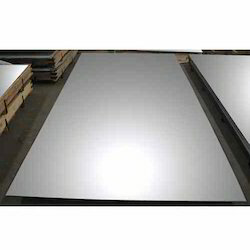 Solitaire Ipmex Company stocks Alloy 347 stainless steel plate in thicknesses from 3/16" through 4". 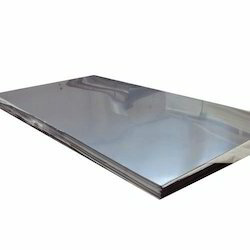 A high carbon version, Alloy 347H (UNS S34709) stainless steel plate, can also be ordered in the same thickness range. 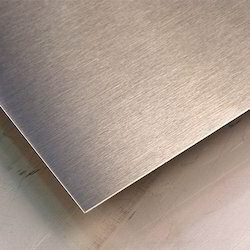 Alloy 347 stainless steel plate is also advantageous for high temperature service because of its good mechanical properties. 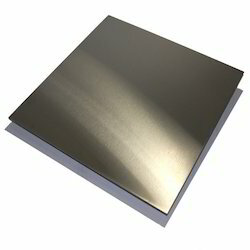 Alloy 347 stainless steel plate offers higher creep and stress rupture properties than Alloy 304 and, particularly, Alloy 304L, which might also be considered for exposures where sensitization and intergranular corrosion are concerns. 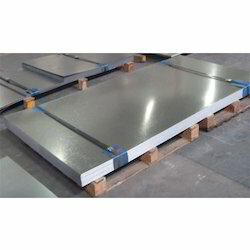 These 316L Stainless Steel Plates are the second most regularly specified stainless steels after Type 304 and are part of the SAE defined 300 Series which encompasses a range of austenitic chromium-nickel alloys. Austenitic stainless steels like Type 316 are widely available, have good general corrosion resistance, good cryogenic toughness, and excellent formability and weldability. These Checkered Plates offered by us have high ductility and can be easily molded to transform the sheet metal into different shapes to be used for a large variety of finished parts. The sheets available with us find its wide application in various industry segments such as food processing for making cans, automobiles for making different products. 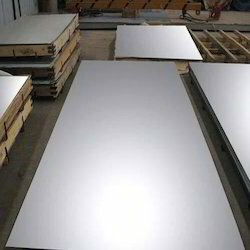 We deliver Aluminum Plate grade 53000 / 5086 and also in many different grades like 6082, 6061, 6063, 2014, 5052 etc. 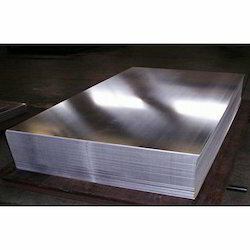 These types of 304 Stainless Steel Plates are some of the most regularly specified and have come to represent the embodiment of the basic stainless product. They are part of the 300 Series of steels (as defined in SAE specifications) which covers a range of austenitic chromium-nickel alloys. They are also known as 18/8 stainless due to their chemical composition which includes approximately 18% chromium and 8% nickel by weight. The steels are easy to form, weld, and fabricate and their resistance to corrosion from, amongst other things, acids naturally contained in food has resulted in them being used widely in the food and drink processing industries. 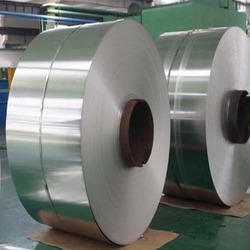 We are the leading supplier of Stainless Steel 304 Coil. All the Stainless Steel 304 Coil are at par with the international standards and in line with the requirements of the clients from various industries. These SS 304 Coil are widely appreciated for excellent quality, corrosion abrasion and high tensile strength with long life service. Furthermore, our range of these SS 304 Coil can be avail from us at market leading prices. 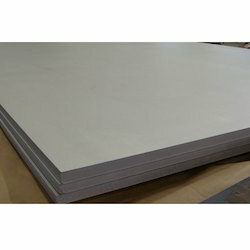 Our company offers an impregnable range of Cold Rolled Sheets. These sheets or coil are drawn from high quality HR coils. C. R. sheets have excellent weld ability, paint ability, workability, and good surface finish. The various applications include household appliances, electrical panels, automobile sector, furniture, galvanizing, general engineering, precision tube making extra. 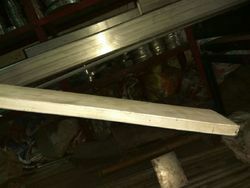 Thickness: 0.4 mm to 3 mm, Width: 750 mm to 1500 mm. Leveraging on our expertize, we offer a wide assortment of Stainless Steel Patta 304L. These find applications in many Structural, Engineering, and Mechanical industries. Further, we fabricate these using superior quality material to withstand weight and pressure conditions. These can also be cut into various forms of rectangular or square depending on the specifications of the client. The specifications of our Steel Patta. 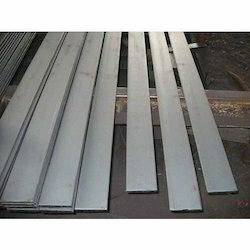 We are manufacturers & stockists of Stainless Steel Patta 316l, Patti in grade of 316L,. We are making untiring efforts to source the highest quality products from the eminent manufacturers and suppliers. These 316 Stainless Steel Plates are the second most regularly specified stainless steels after Type 304 and are part of the SAE defined 300 Series which encompasses a range of austenitic chromium-nickel alloys. 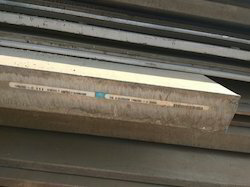 Austenitic stainless steels like Type 316 are widely available, have good general corrosion resistance, good cryogenic toughness, and excellent formability and weldability.Type 316 has 2-3% Molybdenum included in its chemical composition which prevents specific forms of corrosion and generally enhances its corrosion resistance. Type 316 is often referred to as “marine grade” stainless due to its increased resistance to chloride corrosion compared to Type 304 making it a very suitable material for use in salt water environments.Type 316L is a variant of Type 316 and differs by having a lower Carbon content as well as slightly lower yield and tensile strengths. Type 316L offers improved weldability and also reduces the possibility of lower corrosion resistance around welded areas. 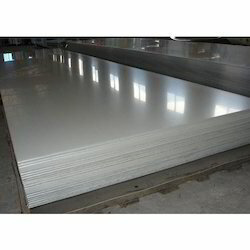 We are the leading manufacturer & exporter of SS 304 Sheet. 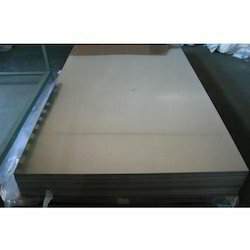 We can manufacture a wide range of SS 304 Sheet. We Solitaire Impex have been exporting our product to many countries like: China, Honk Kong, Philippines, Eqypt, UAE, Iran, etc. 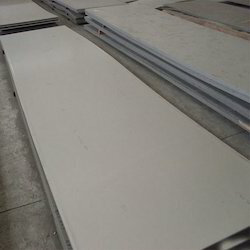 We have a very large customer base in India & abroad.We are counted amongst the leading exporters of the high grade SS 304 Sheets that are made using the premium quality Steel. Our 304 SS Sheets are highly used in various industries, owing to their strength and durability. They are available in varied sizes as per the needs of the clients. These Stainless Steel 304L Plate are carefully designed and manufactured under rigid quality control procedures to ensure high precision and dimensional accuracy. We fabricate these Stainless Steel 316L Coil using supreme quality raw materials based on well innovative technology in accordance with the quality standards. Our clients can avail from us at affordable prices. Types: Sheets, Plates, Coils, Flat, Strips, Profile, Blank ,Circle, Ring etc. 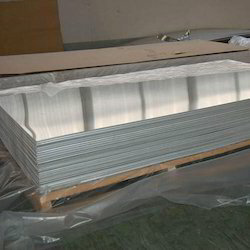 Application Stainless steel sheet applies to construction field, ships building industry, petroleum,chemical industries, war and electricity industries, food processing and medical industry, boiler heat exchanger, machinery and hardware fields. 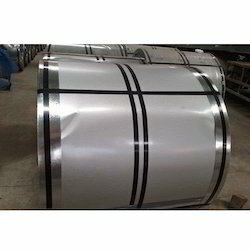 Stainless steel sheet can be made according to the customers requirements. 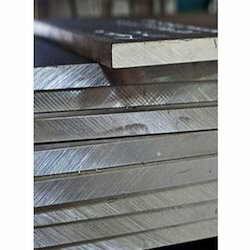 We are manufacturers & stockists of Stainless Steel Patta 317l, Patti in grade of 317L,etc. We are making untiring efforts to source the highest quality products from the eminent manufacturers and suppliers. 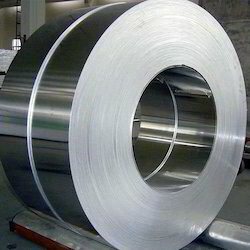 Stainless Steel 304L Coil finds application in an assortment of industries. The products have gained appreciation for their excellent durability. These SS 304L Coil are available in different dimensions, shapes, sizes, material specifications. 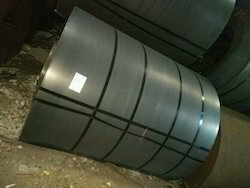 We Piyush Steel make use of Stainless Steel to manufacture SS 304L Coil. Backed by an extensive industry experience, we have successfully supplied these Coil in bulk to major projects, oilfield companies, and construction, power generation & chemical industries.